← How about using half the Bezos fortune to stop US child poverty for one year? I cannot believe this was an actual blog. Oh wait, yes I can, this is the world that we still live in. Super sorry, Mike. Would you like your money back? Do you think that the under representation of men in areas like social work and education is an issue that should be addressed? 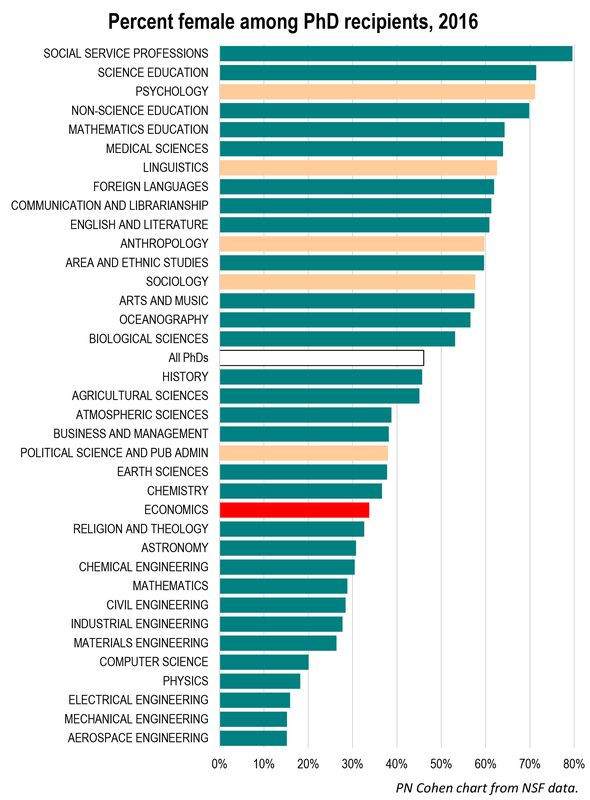 I’ve been seeing people on twitter praising psychology for having more female PhDs than economics. People might see them as being hypocritical if they think women being 34% of econ majors is a problem but men being being 28% of psychology majors isn’t.